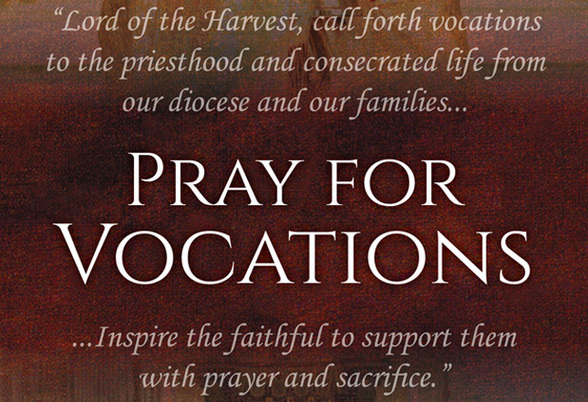 Pray for vocations! Take home the Elijah Cup for a week and pray that men and women hear and respond generously to the Lord’s call to the priesthood, diaconate, and religious life. Please consider signing up for this wonderful opportunity to pray for our future priests, deacons, nuns and brothers using the link above. Just choose a weekend and a Mass. You will be called up after the announcements to receive the Elijah Cup. 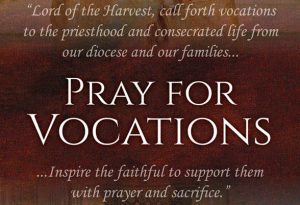 Bring the cup home and pray daily for vocations. Please contact Nancy Nadolski, if you have any further questions. Sign up for the Elijah Cup. help the men and women of our parish to hear the call to serve your Church. Our needs are great and our people thirst for your presence. who will spend themselves for your people and their needs. Bless those who are serving now with courage and perseverance. Grant that many will be inspired by their example and faith.